Year 5 and 6 pupils were inspired by members of Deal and Dover Fairtrade Groups. 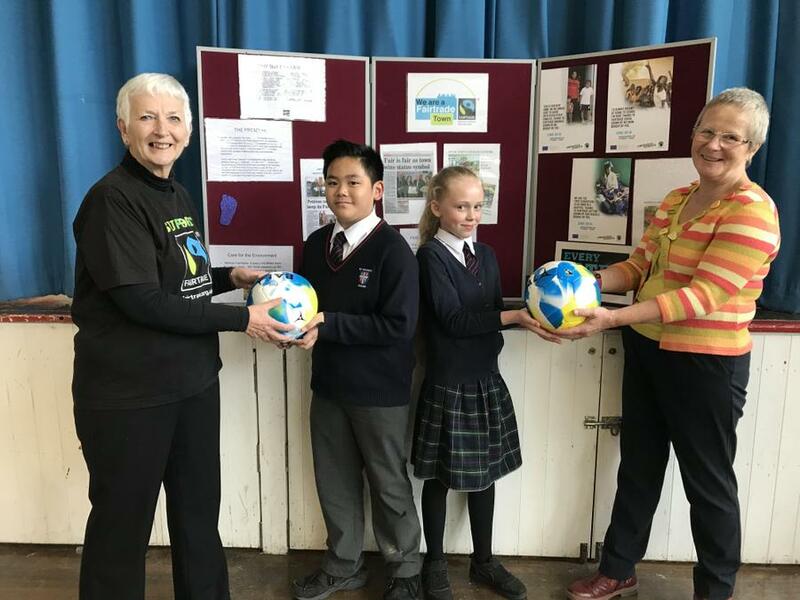 Roisin Murray and Pam Brivio talked about Fairtrade Footballs and the journey they take from where they are made in Northern Pakistan to the UK. The boys and girls were enthralled with the account. Watch video of Roisin and Pam presenting the Fairtrade footballs to pupils here. 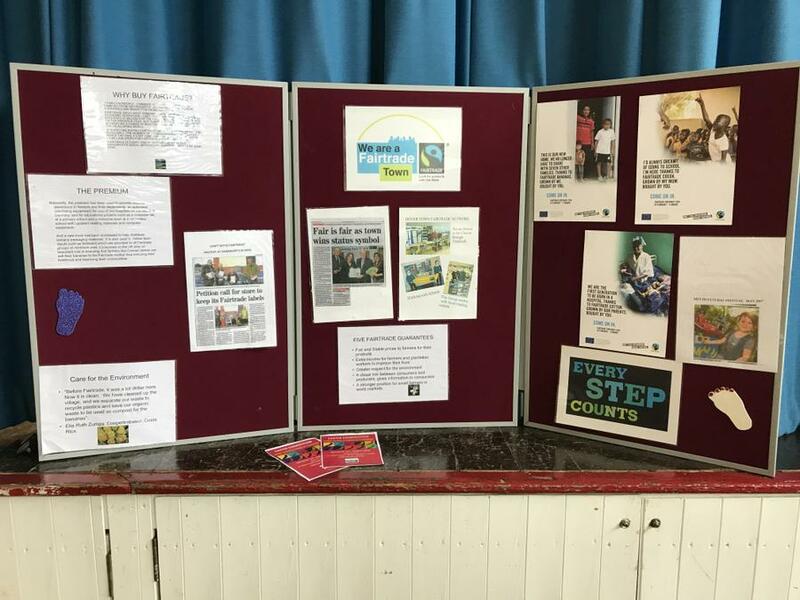 A short video was shown to pupils and discussion took place about being part of the Fairtrade movement and what it means to Producers and their families. The video was a good example that it is not just products that are grown that are made to Fairtrade standards. The area where the Footballs are made (40m annually) employs 25% of the population and working there means that a fair price is paid, there are good working conditions, children are able to go to school and there is no child labour. 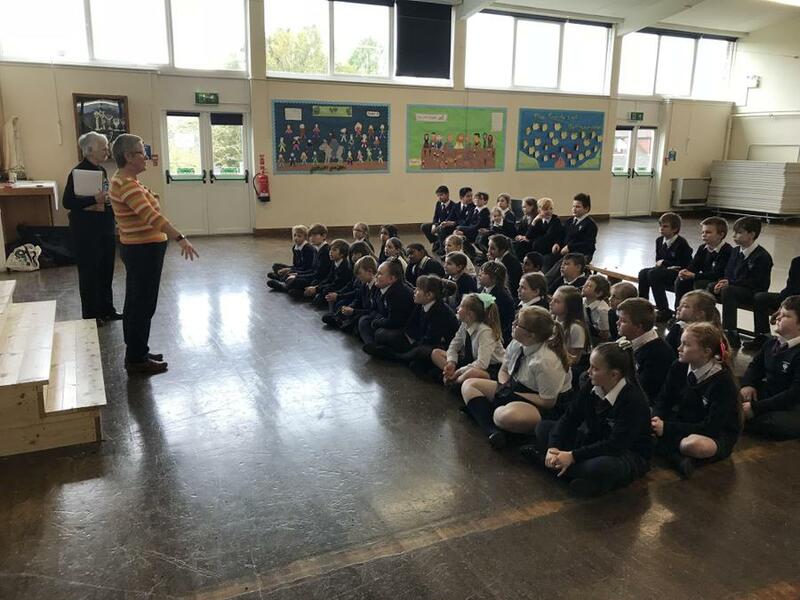 Roisin said, " Being a Fairtrade school meant the children had a good understanding of what being part of Fairtrade means and benefits it brings to communities". St Richard’s has been an active Fairtrade School for some time. Afterwards the pupils were presented with Fairtrade Footballs and challenged by Mr. Blomfield to create their own model football (from the same net of octagons and pentagons that the manufactures use in Pakistan!) Watch the Fair-trade football video on Youtube.